After the end of the Cold War, U.S. foreign policy officials prided themselves on bringing communism to an end. Decades earlier, they claimed victory over the defeat of fascism. Both were viewed as part of the country’s mission to spread liberal values – such as human rights and an open economy – to the rest of the world, in hopes that other nations would become replicas of the United States. But a local scholar argues that this kind of foreign policy, called “liberal hegemony,” is doomed to fail, if it hasn’t already. Mearsheimer, a political science professor and co-director of the University of Chicago’s Program on International Security Policy, said liberal hegemony involves three tasks: spreading liberal democracy around the world; getting other nations “hooked” on capitalism by creating an open, international economy; and including countries in international institutions that the U.S. has played a key role in creating. 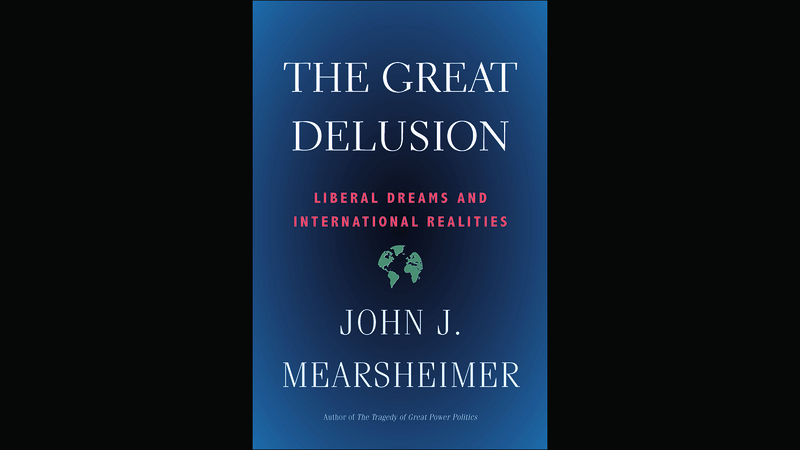 Ultimately, that kind of foreign policy will run up against nationalism and realism, Mearsheimer argues in his new book. “With regards to nationalism, that’s the most powerful ideology on the planet, and foreign countries do not like the United States occupying them and trying to arrange their politics to pursue American interests,” he told Chicago Tonight, citing the wars in Iraq and Afghanistan as examples. Mearsheimer joins us in discussion. Read an excerpt from “The Great Delusion: Liberal Dreams and International Realities” here.